You wear your knight crusader armour with honor. Your righteous heart fills with pride when others rely on your strength. 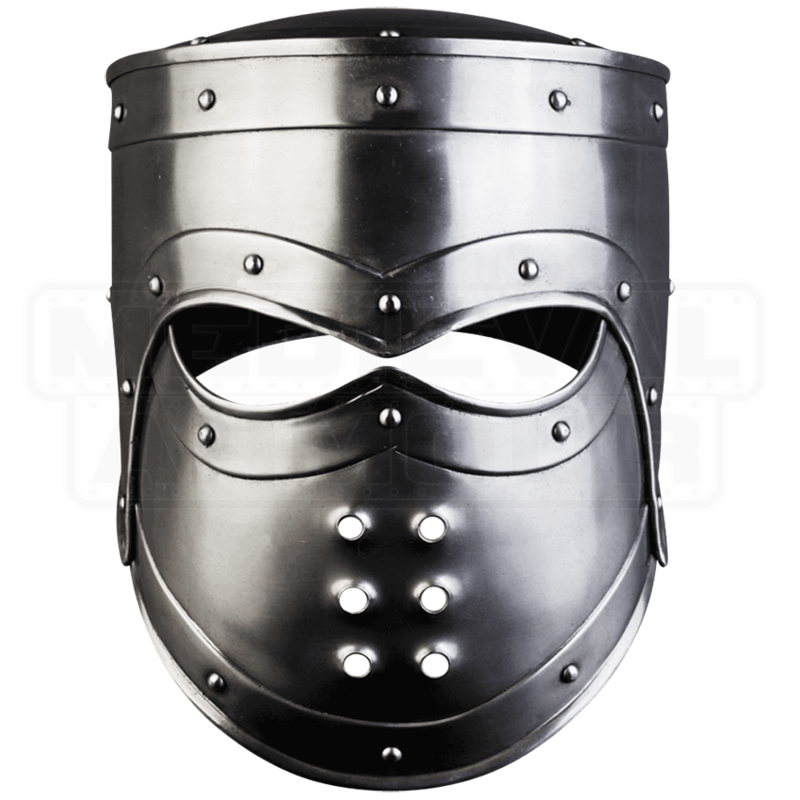 The Edward Steel Helmet will emphasize your noble bearing while reinforcing your defense in LARP battles. The helmet consists of a rounded, great-helm style top set with non-removable face mask. Enjoy the elegant style of this medieval great helm. Well-placed rivets and offset edges compliment a bright finish. 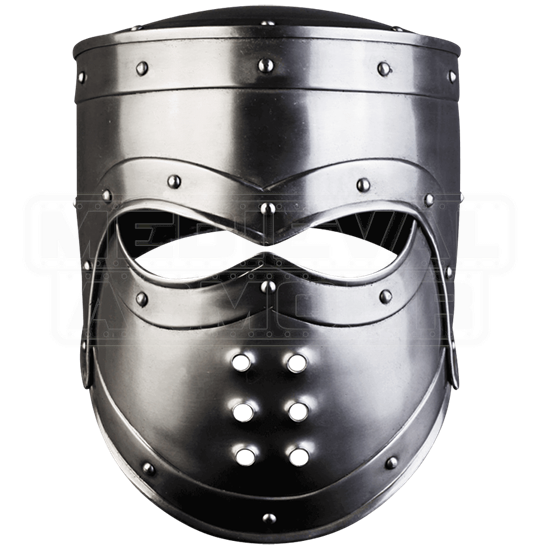 Ornate eye slits and rivets holes decorate the elaborate mask piece. Crown your head with a strong defense by wearing this helm over padding and chainmail. Complete your protection by combining this helmet with the rest of the Edward steel armour.